Aanyoung haseyo! As I’m typing this, I still get the same happy, giddy feelings over my Korea haul as I did back then, which I’m gradually working my way through. I was at Olive Young when I grabbed this jar of Neogen’s exfoliating pads. I never saw it before and figured it was new so I just purchased it on a whim, and boy am I glad I did. 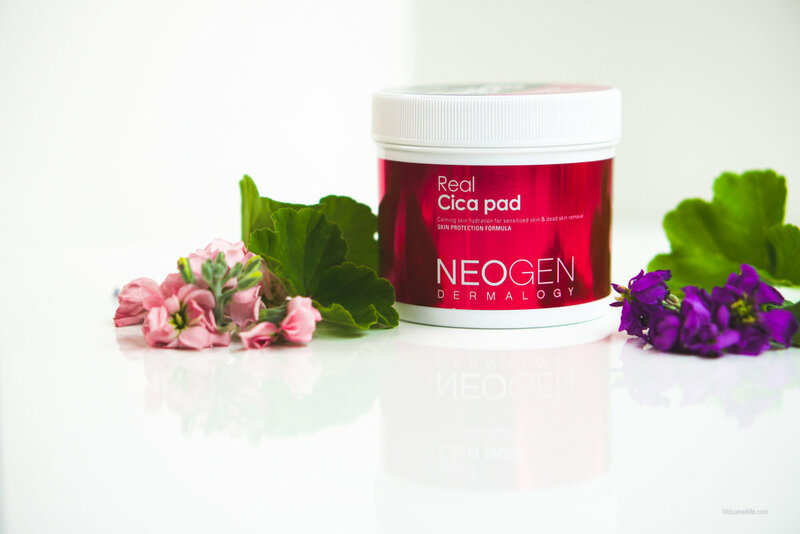 Neogen’s Real Cica Pads are freaking amazing. 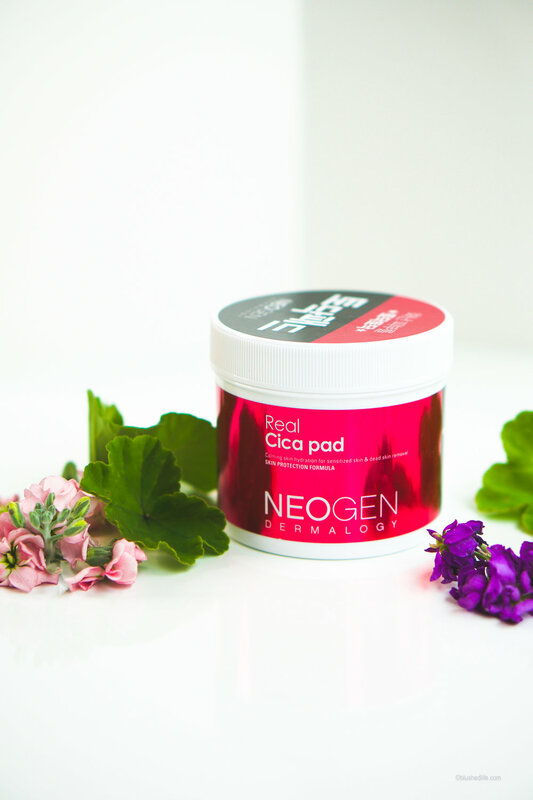 The Real Cica Pads are exfoliating pads soaked in a skin soothing formula with Centella Asiatica and Hyaluronic Acid. This formula reduces redness, calms inflammation, and helps strengthen skin barrier. They have a pH of 5.83 (Yesss!) and are gentle enough for daily use. Each jar comes with 90 pads and sells for $20 on Soko Glam. I purchased mine for 13,600 won in Korea. Without looking at the ingredients list, my skin could already tell me how gentle these pads are. We’re all familiar with how amazing Centella Asiatica is, but these pads have more than that. Asiaticoside, Asiatic Acid, Madecassic Acid, and Madecassoside are all components extracted from Centella Asiatica. These ingredients are gold! They increase collagen production, soothe and hydrate the skin, heal damaged skin, and calm sensitive skins. We also get an extra boost of moisture thanks to Ceramide! 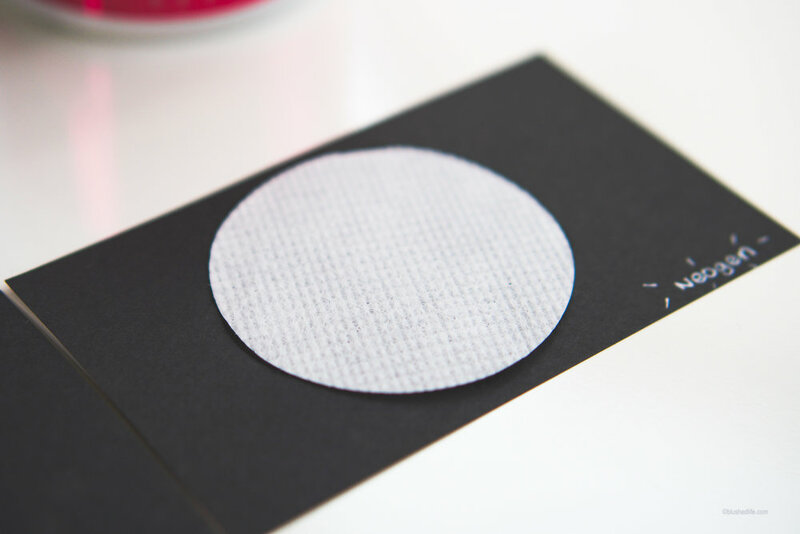 The exfoliating ingredients in these pads are Lactobionic Acid and Gluconolactone. These are types of PHA (Poly Hydroxy Acid), which is similar to AHA, but much safer and gentler on the skin. They don’t penetrate the skin as deep so exfoliation is kept at the surface level. Sensitive skins rejoice!! For the record, no harmful ingredients found. To be honest, I was not a fan of the original Neogen pads. I got samples of them, but found the pads too rough for my skin. These pads are nothing like that! Just the other day I was telling my friend that they felt kind of like the backside of dental bibs. :-D They’re soft and quite smooth, and both sides have the same texture. When I do any sort of exfoliation, my skin reacts immediately and it turns angry red. Sometimes I’ll even experience stinging and burning if it’s a bad day. The first time I used these pads, I felt nothing. And that’s nothing in a good way! No stinging, burning, itching, etc. The only thing I felt after was hydration. You know what’s even better? My face was not red. Any traces of peeling were gone, filaments were non-existent, and my face was just smooth. I don’t know how it gets any better than this. I feel kind of bad now because I think I’ve been torturing my skin all this time when I thought I was giving it TLC. Um… oops. Although I can use these daily without irritation, I still give my skin a break, and it’s been working! Now, since this is a moisturizing exfoliating pad I wanted to compare it to COSRX’s One Step Moisture Up Pad. 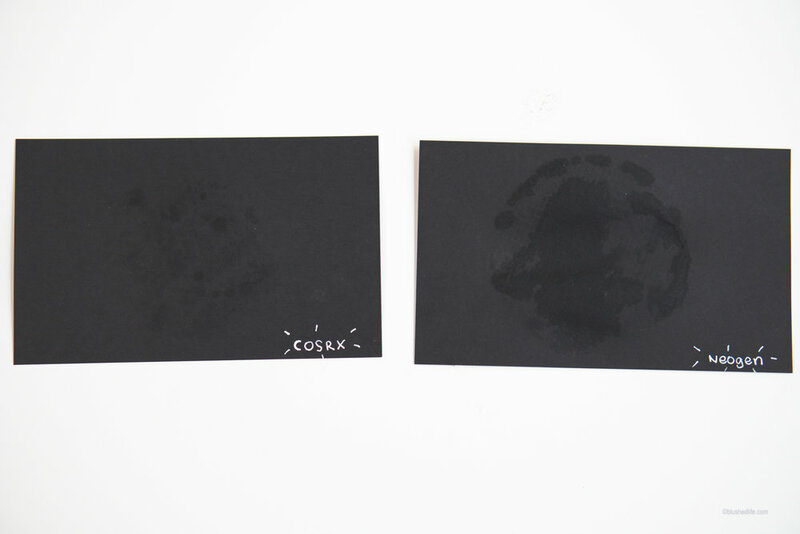 COSRX’s version hydrates, but feels surface level and leaves a slightly oily finish. Its pads are softer, but there isn’t enough texture to exfoliate as well as the Neogen ones. Neogen’s hydrating formula sinks into the skin and feels so comfortable. Simply put, their pads and formula are superior compared to COSRX. Check out how saturated Neogen's pads are! After they dried: Neogen's hydrating properties are longer lasting. I am totally won over by the Real Cica Pads! Their quality and effectiveness really impressed me, and I highly recommend trying them if you have sensitive skin. Sorry, COSRX, but Neogen wins this round!